The print ad was featured in Communicational Arts Mag Ad Annual. The NIKE Air Max2 tennis shoe is very, very comfortable on the hard court. 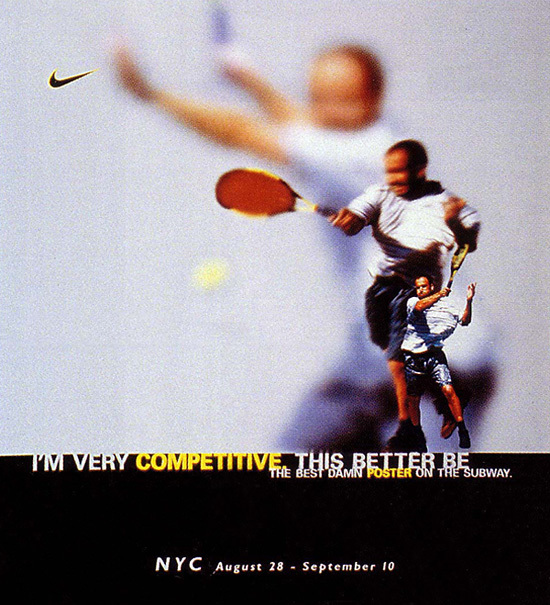 This Nike US Open Tennis campaign was inspired by the rivalry between the two of the greatest tennis players of all time, Andre Agassi & Pete Sampras. 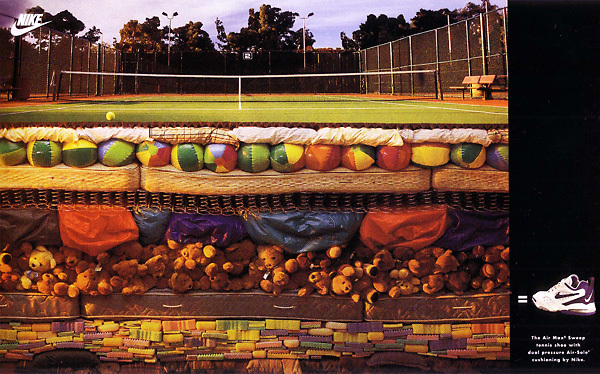 They appeared as a series of NYC subway posters promoting the upcoming tennis event.